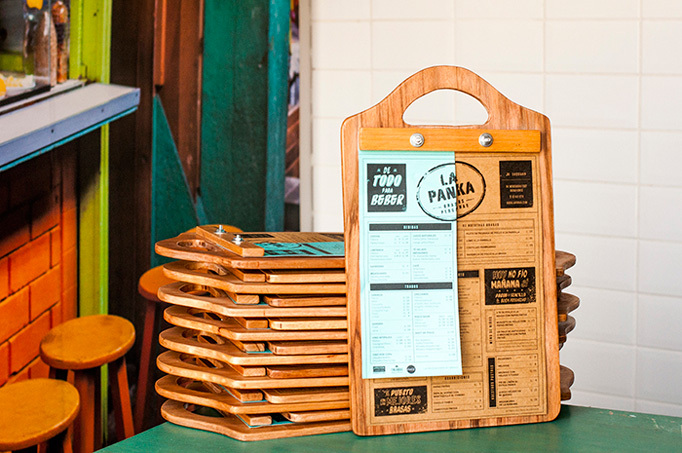 This BBQ restaurant in Lima, Peru, is known for their pollo a la brasa (rotisserie chicken) and anticuchos (grilled skewered beef heart meat). 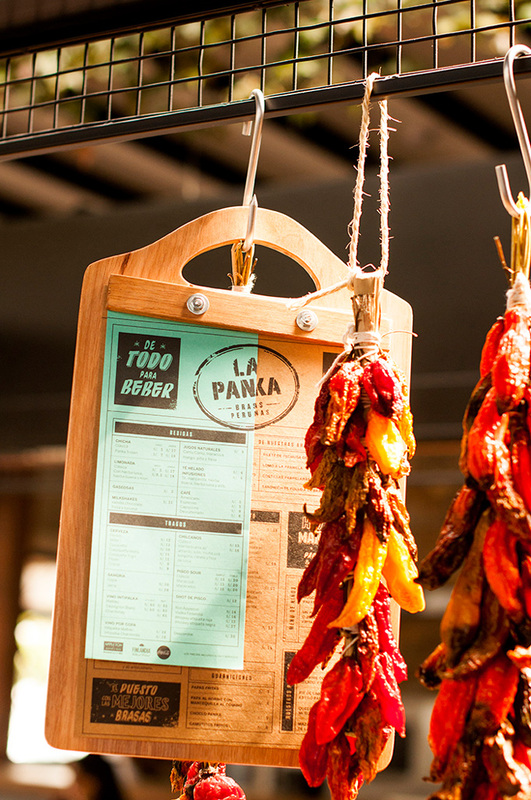 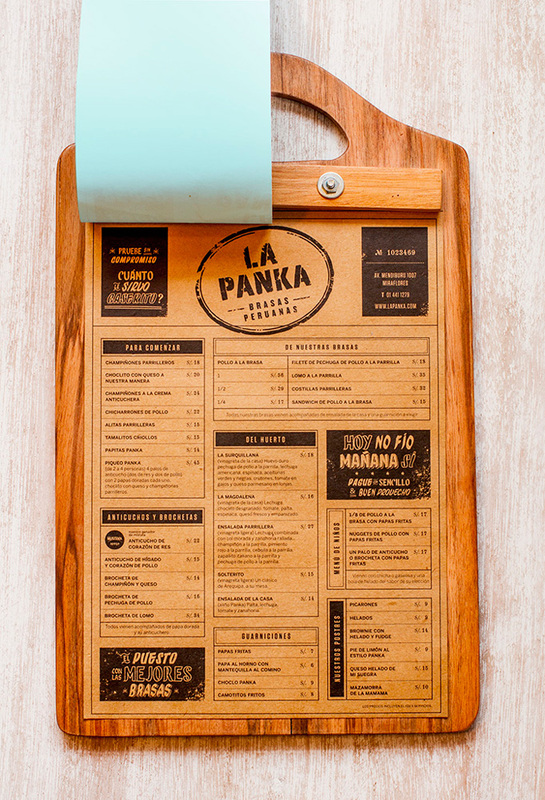 The overall design pays homage to visuals from local Peruvian markets with inspiration found in food stalls cluttered with local ingredients. 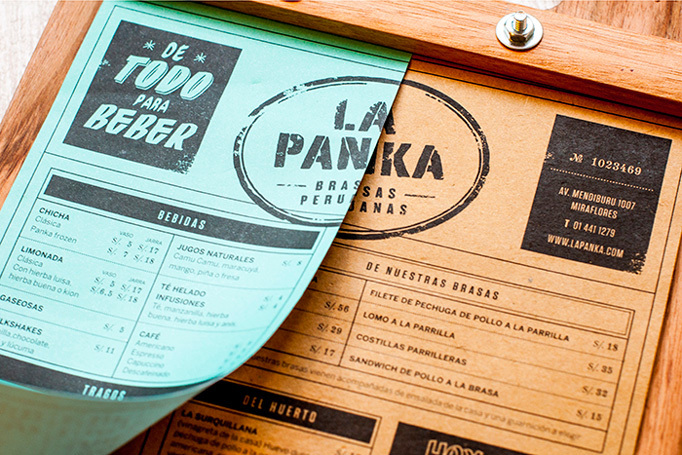 Then, the menu design mimics a market invoice, including typical market phrases interspersed throughout the layout. 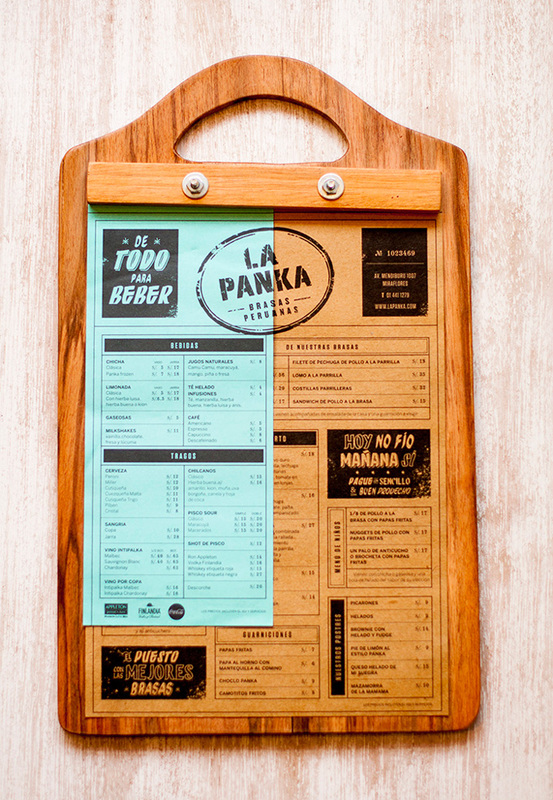 While the menus are disguised as simple designs, the continuation of the logo from the overlaid drink menu onto the food menu is a clear sign that special thought and care went into these designs.